and malodorous off-gases from waste water treatment plants because OZONE must be generated on site for immediate use. This is best done through a ozone generator. The advantage of Ozonair - KT Ozonators for commercially treating waste water is that it destroys bacteria, inhibits algae growth and reduces scaling in problematic areas. It has a faster reaction rate than chemicals and only oxidation not chlorination takes place. 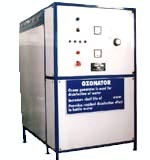 Ozonators provide rapid and efficient oxidation of many industrial contaminants. It is very effective for oxidizing iron and manganese, removing phenols, organic waste constituents and heavy metal contaminants. An additional advantage is that water treated with OZONE does not contain any chlorinated compounds that require further treatment prior to disposal. Our Ozonair – KT Ozonation Systems eliminate the guesswork when it comes to your water quality and will treat every drop of water that comes into your home up to 600 times faster than any other oxidizer. Wateen Solutions has developed systems to replace conventional chemical and maintenance intensive treatment. This is accomplished via the powerful oxidizing properties of ozone. 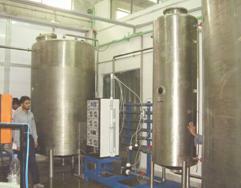 Ozonair - KT systems replace conventional chemical systems. We eliminate the maintenance and service headaches you normally find with conventional chemical water treatment. A complete Ozonair – KT system will treat every drop of your water and is always ready for your use. OZONE is used in the bottling industry for water treatment (mineral water, drinking water, spring water) and sterilization of the bottle-cleaning water. It is also used in beer making and the soft drink bottling industry. Fish hatcheries use OZONE in lieu of other disinfectants, both as a bactericide and a source of dissolved oxygen. In the pharmaceutical industry, the requirement for purity of the reagents makes OZONE ideal for both oxidation and disinfection. Another typical situation of biofouling controls is the treatment of recirculation water in air conditioning cooling-tower systems. The use of Ozonators is increasing rapidly in the industrial waste water treatment section because it is accepted as being effective, economical & can enhance traditional methods. • What is an Ozonator? • W hat Systems Require An Ozone Residual And Which Do Not? An Ozonator is a device that creates ozone gas. Ozone gas is a very strong oxidizer and disinfectant, which is commonly found in nature. Ozone is produced by ultra violet light, lightning (corona discharge) and almost any electrical discharge. Even copy machines create small amounts of ozone. For decades, ozone has been used to take the place of chlorine because ozone kills bacteria & virus iron, sulfur & manganese far quicker. 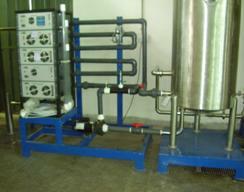 • Residential, Commercial/Industrial water treatment for the removal of iron, sulfur, manganese. (Homes, Livestock, Irrigation, Agriculture, Aquaculture). • Bottled Water for maintaining bacteria free water to sell, increase shelf life, and improve taste. • Cooling Towers for eliminating scale, bacteria, algae, organics, and reducing chemical dependence. • Swimming Pools/Spa to eliminate/reduce the need for chlorine, and to produce spring-like water. See the world's most powerful oxidizer in action!